We provide technology solutions and services for the construction sector, supporting the complete project life cycle from design through to construction, building handover and maintenance. The widest possible range of software and hardware for the construction sector from Excitech and our best of breed technology partners. Our comprehensive range of consultancy, training and support services, delivered by trainers, consultants and engineers from the core industries they support; they have been architects, technicians, engineers, construction managers and project managers. A comprehensive resource covering all areas of the construction sector. Up-to-date and archived blogs, case studies, white papers, webinars and news. Explore trends, developments, tips and hints. We pride ourselves in building close working partnerships with our customers based on mutual trust, going the extra mile and extensive sector knowledge. Excitech is a supportive and enjoyable place to work. Our business and our customer relationships are built on mutual trust and openness. Excitech people are smart, dependable, conscientious, and open. Autodesk AutoCAD Inventor LT Suite delivers AutoCAD LT and Inventor LT software, providing a cost-effective way to introduce 3D mechanical design into 2D workflows. Autodesk AutoCAD Inventor LT Suite includes both Inventor LT and AutoCAD LT software at a remarkable value, helping mechanical design professionals add the productivity benefits of 3D, participate in digital prototyping workflows and compete more effectively. Inventor LT offers powerful part-level 3D parametric modelling, multi-CAD translation capabilities, automated DWG drawing views and other capabilities found in Autodesk Inventor software. Inventor LT is interoperable with the included version of AutoCAD LT, one of the world's top 2D drafting and detailing software, so manufacturers can continue to work confidently with real DWG data and help boost their 2D productivity. Please tick here if you would like to receive further content from us by email regarding related products and services, our events, and industry news. Subscription gives you access to Autodesk software, the same full version you get with a perpetual licence - but with a flexible, term-based approach for a software budget that is easier to manage. Please note, monthly subscription is only available on an auto-renew basis. To view this content please supply the required information below. Email overload? File, find, share and archive emails quickly and easily with this popular Outlook plug-in. 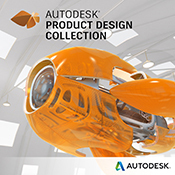 This collection is the best way to access the most essential Autodesk software for product and factory design. Autodesk Revit software is built for Building Information Modelling (BIM), helping professionals design, build, and maintain higher-quality buildings. Autodesk Revit LT software delivers an intuitive, 3D Building Information Modeling (BIM) application that helps you create higher quality and more accurate designs and documentation. To receive an email when a new blog is published, please enter your details below. Thank you for subscribing to our blog. You will receive a notification email upon each new blog post.